Wow! What an emotional week! I'm still amazed and delighted that The One and Only Ivan won the Newbery award. There were a good 2 days there where I would just cry at the drop of a hat thinking about it. So, um, I didn't love this one the way everyone else has. It was a good book, but it's just not my kind of book. 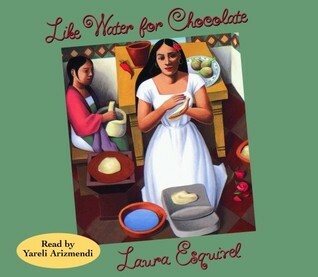 In contrast, I LOVED this audiobook. I'm going to be writing a review of it very soon. 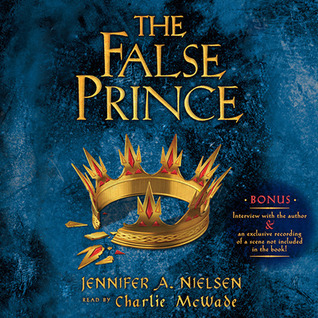 The False Prince wasn't really what I normally like, but it was way better than I thought yet another medievalish fantasy would be. I'm looking forward to the sequel because I know there will be students who love it. How are you enjoying Shadow of the Window? I read it ages ago, and thoroughly enjoyed it, so I'm curious how it translates to audio. It still sits on my favorites shelf! Riot souds really interesting - I love Walter Dean Myers! We just got Period 8 for my library!! :) Hasn't been on the shelf yet but hoping the teens like it! 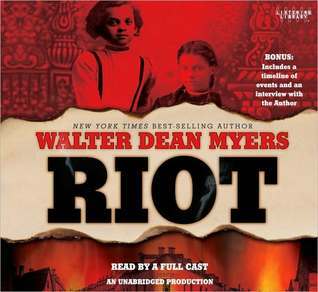 I think I might try Riot, not a huge Walter Dean Myers fan (although I certainly admire his work! Very talented man!). I need to check and make sure I've ordered Period 8 for my library. The Walter Dean Myers book looks fabulous. 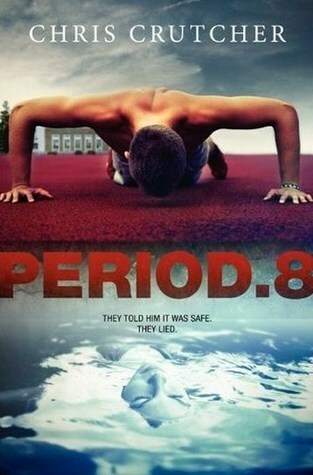 I am also going to be reading Period 8 soon because I am borrowing it from a friend. 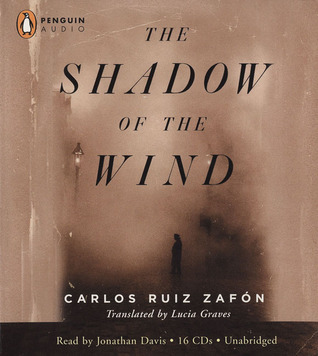 The Shadow of the Wind is one of my favorite adult books from the last ten years or so. I read it when it first came out in Spain and was so happy when the English version came out and I could recommend it to family and friends. Enjoy! I have The False Prince on my list to read soon! I want to see what all the fuss is about, and I have The Runaway King from NCTE. It's good to know that not everyone has gushing praise for it. Can't wait to hear your thoughts about about Period 8. We listened to The False Prince as an audiobook and it was so engaging. My ten year olds loved it. So did my husband. Curious to see how we all enjoy The Runaway King. Sometimes listening to a book gives you a totally different feeling than reading it . . .